Happy November to you! 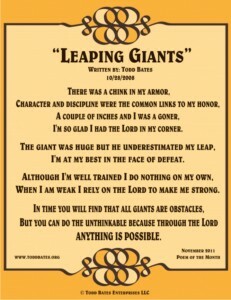 Please take a moment to read the Poem of the Month “Leaping Giants”. 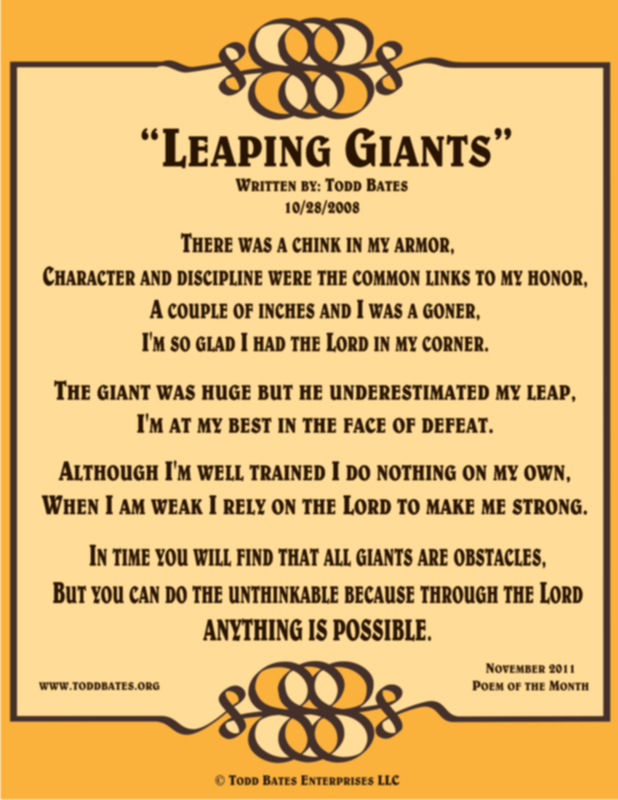 Be encouraged no matter what your “Giant” may be in life! You can accomplish ALL things by faith! I’m so glad I had the Lord in my corner. I’m at my best in the face of defeat. But you can do the unthinkable because through the Lord anything is possible. 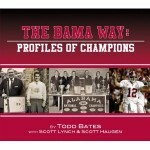 Copyright: Todd Bates Enterprises LLC. Hello to my son moma enjoy there poem for the month of november keep writing moma is so proud of you.and we love you and there family. I enjoyed your poem as always and I hope your book is successful as well.God bless you.The boys send their love.Tell the family hello.